What sets great event management companies apart from the rest of the competitors in their field? In some ways, it’s hard to say. It’s that classic French ‘je ne sais quoi’ element, that quality that permeates everything a successful event manager does, but that eludes description. But there are some important factors to look for, and you’ll find them at AIM Events. Famous event management companies secure their reputation by staging breath-taking events that are populated with A-List celebrities, staggering visual and sound effects and hosted in top class venues all around the world. They secure maximum exposure in the media through developing innovative, creative visions. They create a real buzz in the run-up to the event itself and then deliver excellence on the day time and time again, so everyone who’s anyone wants to attend the very next happening they organise. That improves your reputation and standing in the global arena. But then a truly creative event management company always strives to go one step further than the ordinary, and this is what we do at AIM Events. For private individuals who love to attend, see and be seen at some of the most exclusive venues, parties and nightclubs the world has to offer, we’ve developed our elite AIM All Access and AIM Seasonal club membership. Our boutique luxury services enable our clients and members to benefit from personal and authentic experiences worldwide. We know busy, successful people still need time to relax and unwind, but the very nature of their work means that recreational time is precious. So as one of the best event management companies in UK, we take advantage of the contacts and networks we have developed throughout the nightlife industry and beyond to deliver a range of benefits to our clients that helps them maximise their free time. Take our AIM Events Concierge service as a prime example. Delivered in partnership with Luxury Worldwide Service (LWS), this global concierge service is available to our members 24/7 and 365 days of the year. Its sole purpose is to ensure that the personal and professional lives of its clients are enhanced and empowered by offering fulfilment at every level. Perhaps that involves facilitating entry to the party of the year or organising short notice travel to some far off destination. 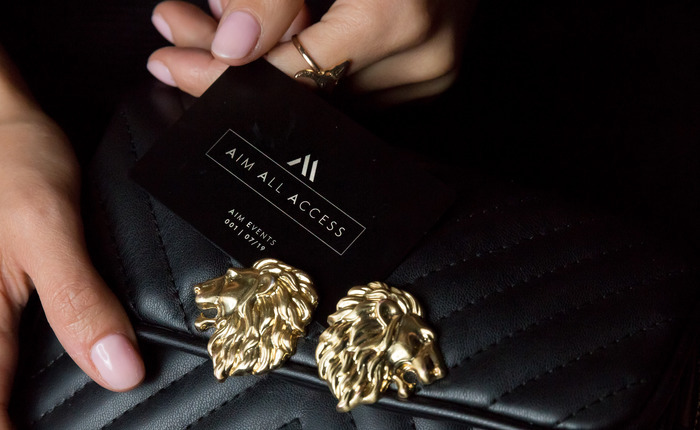 From ensuring every detail of your hotel suite is perfect to securing a last-minute designer accessory to complete your outfit, the AIM Events Concierge service is 100% bespoke to your needs. No task is too outrageous or too small for our attention on our mission to deliver the highest levels of personal service with discretion and discernment as standard. And not many event management companies include something this special as part of the package. Don’t sell yourself short when you are checking out event management companies for either the development and presentation of an event or ways to spend your precious free time. See what AIM Events has to offer, and other providers will pale into insignificance.